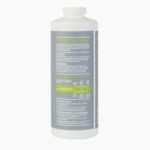 Liquid nutrient supplement for hydroponic gardens, great for growing all types of plants. When Root Farm All-Purpose Supplement (Part 2) is combined with Root Farm Base Nutrient (Part 1), they deliver the key nutrients your plants need for every phase of their growth cycle. Great for growing a variety of plant types, specifically leafy greens and herbs. 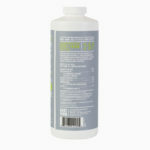 Contains a boost of phosphorus and potassium to support your plant through all of its growth cycles. 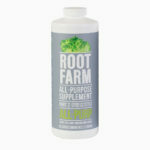 Root Farm All-Purpose Supplement (Part 2) is designed to work with Root Farm Base Nutrient (Part 1). Create a nutrient solution by adding water, Root Farm Base Nutrient (Part 1) and Root Farm All-Purpose Supplement (Part 2).